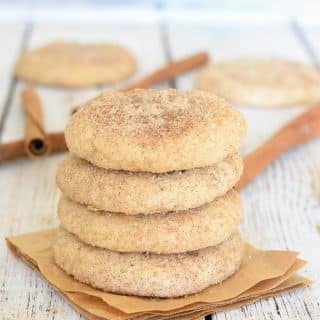 Perfect Vegan Snickerdoodles made with just a few simple ingredients, no oil & no special equipment. They come together in under 25 minutes and are super soft-baked, puffy, buttery, cinnamon-y, sugary & totally & utterly irresistible! My life changed forever the day I stumbled upon Vegan Snickerdoodles as big as my face in a bakery in Seattle. The name made me chuckle and Hello??? Cookies as big as your face? You can bet I bought one three. I’d never heard of them before that day. I’m pretty sure there is no English equivalent, at least I’ve never come across one. Hmmm…Digestive Biscuits V Snickerdoodles in a stand-off ???? English cookies although yummy, seem to be a little less fun. I absolutely love Digestives, but if I hadn’t heard of either and had to choose by name alone it would be Snickerdoodles all the way! I have no idea whether the ones I scoffed in Seattle were ‘good’ Snickerdoodles or not as I haven’t anything to compare them to, but they were pretty cake-y and a little dry and crumbly. After I ate them I wasn’t beating down the hotel door to get back there for some more, but I could totally imagine how wonderful they could be. So I made it my mission to recreate them, but recreate them BETTER. 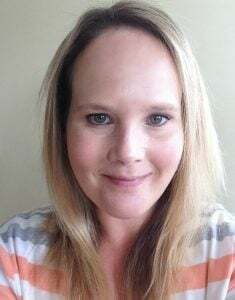 It’s been quite a journey as this girl had no clue, but with a love of cookies and cinnamon and vanilla (and cookies) I’ve sure had fun practising ever since. I got them pretty perfect a few weekends ago. You might have seen on my Instagram stories. I was really pleased but wanted to go one step further and get them oil-free. And guess what? 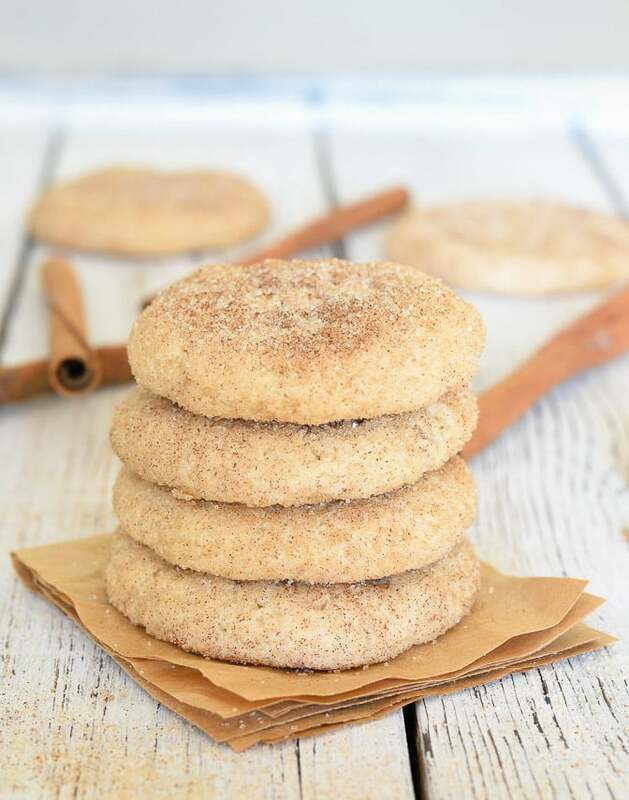 These Perfect Vegan Snickerdoodles are completely oil-free! And I have included an inclusive of oil version too for those of you who might not have coconut butter to hand. I have also reduced the sugar as much as I can get away with and used as little coconut butter/oil as is possible without sacrificing great results. Whether you make the oil-free version or not, the results are almost identical. The coconut butter version does impart a very slight coconut flavour, but it also makes them taste buttery. I love both. It’s very hard to tell the difference. I cannot be totally sure that these cookies are exactly how Snickerdoodles are supposed to be because I only have one example to compare them to, but what I can tell you is that they are amazingly, ridiculously delicious and I am 100% happy with my take on them. Everybody, and I mean everybody who I have fed these to has loved them. I barely got a look in on the many, many numerous occasions I made them. These absolutely Perfect Vegan Snickerdoodles are thick, light and fluffy like Snickerdoodley pillows. They are soft with a very slight chew on the outside. They are buttery, cinnamon-y, sugary cookie perfection. These puffy pillowy cookies are really easy to make. No special equipment is needed, in fact I advise not to try making them in a stand mixer or food processor. They really don’t turn out so well if you do. Snickerdoodling is to be done by hand and by hand only. And don’t worry about effort. There is hardly any needed. You can whip them up so quickly. I made you a little video so you can see just how easy they are to make. Check it out just above the recipe. You will notice in my video, and when you read the method, that I squish the tops of my Vegan Snickerdoodles with a fork prior to baking. Before the Snickerdoodle police come and lock me up, let me explain myself. I know they are supposed to go into the oven as balls, but in all of my tests I preferred the results when they had been squished. I have no idea why, but when made with coconut oil, one batch on the same baking tray, half squished, half not squished, the squished ones come out so much softer. The un-squished ones develop a bit of a crust. They do soften later but if you have immediate eating plans… (Umm cookies just out of the oven…Doesn’t everyone have immediate eating plans? ), then take my advice and squish them with a fork. 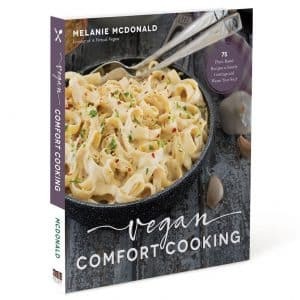 Also, when you make the oil-free version they don’t melt down in quite the same way when baking, so need a bit of help in the form of squishing. Trust me, it works, and trust me, you are going to LOVE these cookies! I love these Perfect Vegan Snickerdoodles just on the slightly underdone side. They kind of have a cookie dough edge that is just O-M-G. It takes them to over the top deliciousness levels. Buttery, soft, thick, melt in the mouth Vegan Snickerdoodle Cookie perfection. Perfect for now, perfect for the holidays, perfect for any occasion. Now go and get Snickerdoodling, then be a ☆ and let me know what you think by rating the recipe and leaving a comment below. I love to see your pics on Instagram too. Use the #avirtualvegan. That way I wont miss them. Oh and if you love Snickerdoodles, be sure to check out my Snickerdoodle Dessert Hummus! 5 tablespoons aquafaba , liquid from a can of chickpeas. I do not recommend you subbing this for any other vegan egg alternative. Aquafaba gives by far the best results in this recipe. ¾ teaspoon cream of tartar , this is a crucial ingredient. DO NOT sub it for anything else. 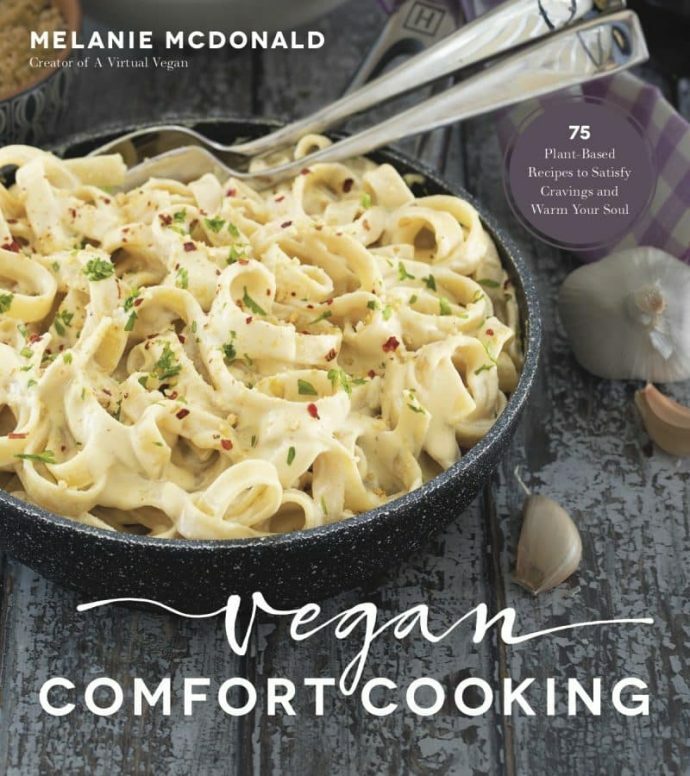 Preheat oven to 375°F and have a cookie sheet ready. If there is a chance they might stick line it with parchment paper or a Silpat. Mix the sugar and cinnamon for rolling in a small bowl and set aside until the end. Make sure your coconut butter (or coconut oil) is soft. Not liquid, but easily scoop-able and not dry. Put the coconut butter (or oil - NOT both) in a mixing bowl. Add the sugar, maple syrup, aquafaba and vanilla and whisk until well combined and smooth. Add the flour, cream of tartar, baking soda, cinnamon and salt and mix with a spoon until well combined. Try not to over mix. Stop as soon as you have a dough. Roll the dough into balls roughly the size of walnuts and then roll each one in the cinnamon sugar mixture then place gently on the cookie tray. Using a fork, press down gently on the top of each cookie dough ball twice in a cross shape (I show how in my video just above this recipe). If you have some cinnamon sugar left in the bowl you can sprinkle a little extra on each cookie, then place your cookies in the preheated oven. Bake for 9 minutes if you want them very slightly underdone. I personally think they are best like that. 10 minutes if you want them cooked a little more. When you remove them from the oven they will be really soft. That is normal. Leave them on the tray for 2 or 3 minutes before moving them carefully to a cooling rack. Store in an airtight container. 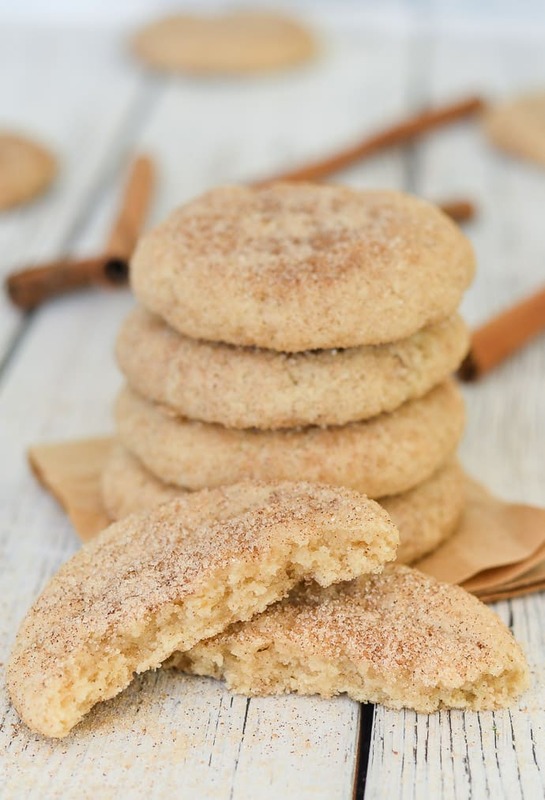 To experience full Snickerdoodle softness, they are at their best eaten within 48 hours. After that time the are still good though, just not quite as moist and soft. Remember that you can use your leftover Cream of Tartar to make aquafaba meringue! I don't have a recipe myself, but have used this one with great success.